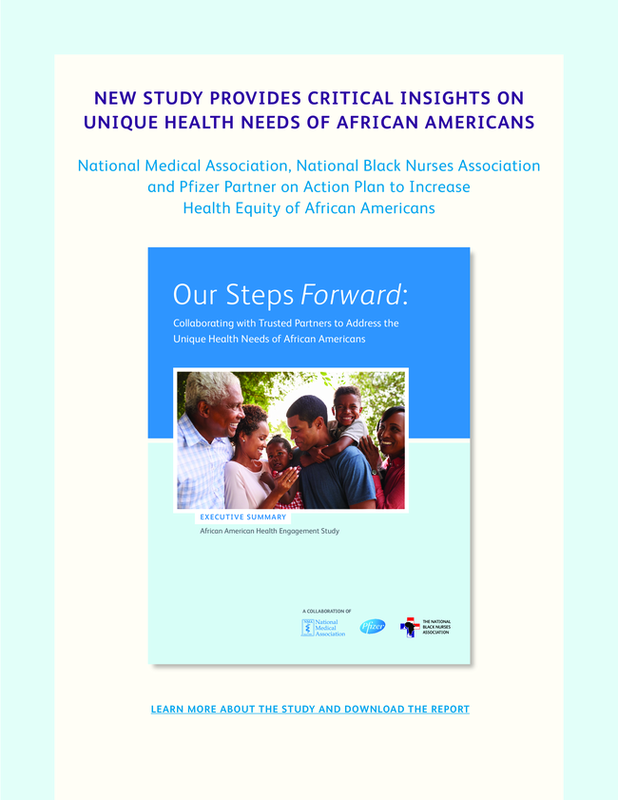 Orlando — Aug 14, 2018 African Americans express more motivation to pursue a healthier lifestyle than non-African Americans, yet are less likely to describe themselves as being in good health, according to recent findings from the African American Health Engagement Study (AAHES), a collaboration of Pfizer, the National Medical Association (NMA) and the National Black Nurses Association (NBNA). The AAHES study examines the health attitudes and behaviors of African Americans and reveals important health-related cultural differences compared to other non-African American respondent groups. Areas of focus in the study include spiritual health relative to other dimensions of health; awareness of and attitudes towards clinical trial participation; perception of state of health; and level of motivation to take action on health.